With roots in Saint-Etienne, France, Focal are a world-renowned audio company designing and manufacturing loudspeakers for home, car and studio use. With over 30 years of experience in the field of audio, they have an incredible breadth of knowledge for acoustics and have recently ventured into the competitive headphone industry. 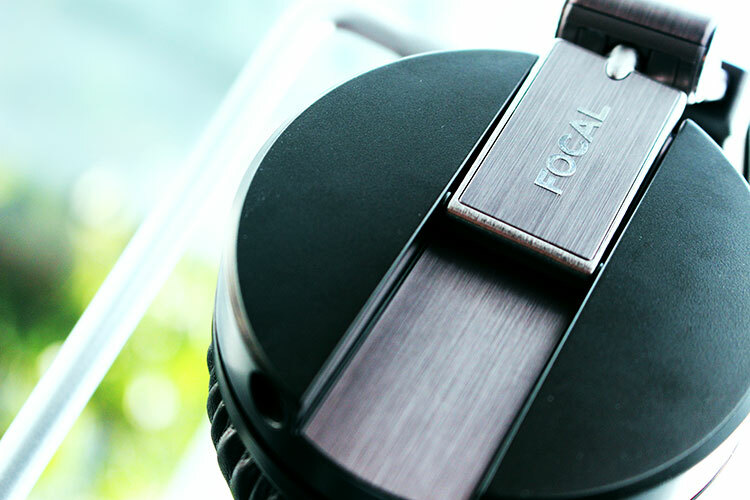 The first in Focal’s trilogy of headphones was the Spirit One S, an urban headphone boasting superior comfort with a well-defined neutral signature. The next in line were the Spirit Classics, a chic portable headphone boasting a neutral and yet elegantly tuned sound profile. The Spirit Professionals were soon to follow and were primarily developed for use in studio monitoring and other professional environments. 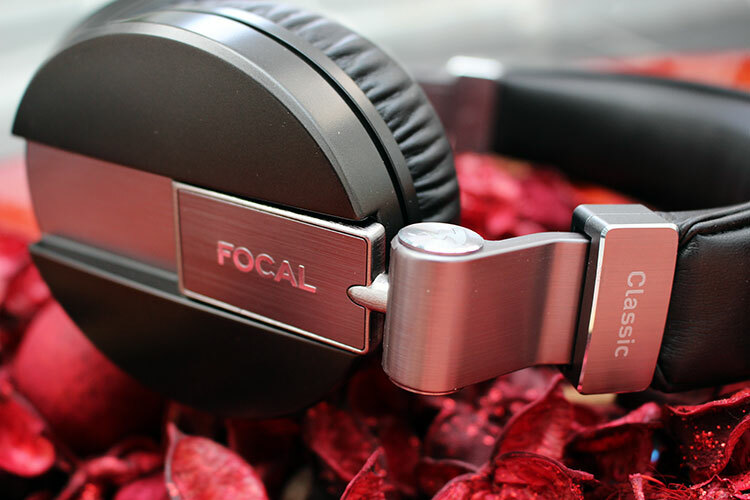 The review here will be focusing on the Focal Classic headphones, a closed-back and over-ear configuration featuring 40mm titanium/mylar transducers. At a modest price of £250, the Classic shares competition with the Master & Dynamic MH40, MW60 and V-Moda Wireless Crossfade headphones. The promising features and years of company experience, however, make the Focal Classics an appealing product and one set for endurance within the crowded arena of mid-fi gear. Perhaps Focal could have selected the outside colour scheme to match that of the headphones but it is still a very professional and slick-looking package regardless. The matte black box employs a magnetic latch which opens up to reveal the Focal Classic headphones resting on a foam insert alongside the 2 different lengths of cables (a 1.4m and 4m one). The design of the Focal Classic Headphones is simply outstanding with a hot chocolate metallic finish that exudes premium finesse. The bold and chamfered edges highlight the angular design and the brushed aluminium attachments complement the sleek bronze housings. The sliding headband mechanism is smooth with an adequate number of placeholder positions to suit a wide variety of head shapes and sizes. I have felt that whilst adjusting the headphones on the head, the sliding mechanism did not give way too quickly nor was it too stiff to adjust. The headphone cup adjuster, however, was a bit stiff to use but there is another pivot point at the centre of the housings to allow for more of an optimal fitting. Finally, the padded headband is constructed from a leather material which ties in nicely with the colour of the metal housings. With regards to comfort, the Focal Classic experience is not the best straight out of the box. Firstly, the headband is quite stiff and would benefit from extra padding necessary to exert equal pressure across the head. Secondly, the clamping force is a bit on the high side but this does subside with time. Thirdly, the ear-cups are rather small which means that for some users this becomes an on-ear device as opposed to an over-ear. Luckily for me, my ears were able to sit flush inside the comfortable memory foam material but I can imagine that this would not be the same for everyone. At 310 grams, the Focal Classic is moderately light in weight with both the MH40 and MW60 headphones scaling in at much more. 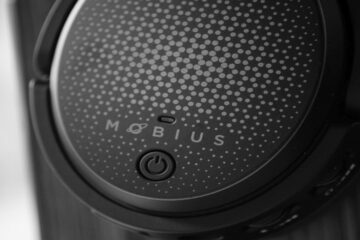 Thus, this headphone could easily be used in commutes and other moving environments. To add to this, isolation is above average with the Classics doing a great of job of blocking out ambient noise. Music is also kept within the headphones and does not leak out when a tight seal is formed around the ears. The Focal Spirit Classic is capable of reaching deep into the low frequency notes with power and heft. Due to the nature of its laidback signature however, the bass notes are neither overwhelming nor thunderously impactful but are somewhat relaxed in their approach. This is not to say that is anaemic however because it certainly isn’t; instead, dynamics are excellent with a satisfyingly pleasant sub-bass rumble. Compared to V-MODA’s Crossfade M-100, the Classics are much less boosted in both the sub- and mid-bass department. Thus, the Classics strive closer to neutrality whereas the M-100’s elevated boost response fits in line with its v-shaped signature. With regards to decay speeds and tightness, the Classics have impressed me with its well-defined and accurate bottom-end response. It verges on planar levels with the ability to handle fast-paced bass without resorting to muddiness or congestion. In James Blake’s “Limit To Your Love”, the underlying bass line can get messy in less capable headphones but not with the Classics which are able to easily handle the track with no bloating or bleeding into the lower-mid frequency range. 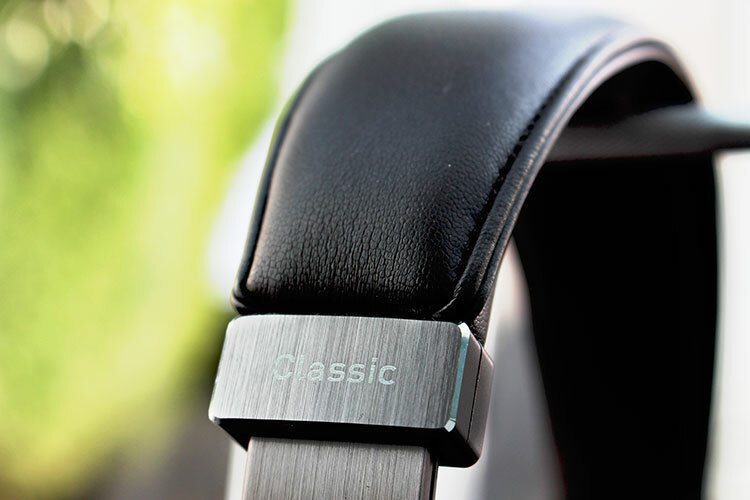 The Classics have a unique signature that is quite unlike any other closed-back headphone I have tried before. 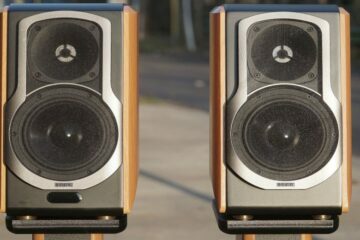 The midrange has a placid sound that is proficient in both macro-dynamics and separation while at the same time infusing an engaging sound amongst neutrality. Compared to the HiFiMAN HE-400S, the Classics’ midrange sounds more focused making the former seem a bit diffuse and airy. The downside to this, of course, is that the Classics’ lack of air and openness can make its midrange sound slightly compressed and restricted. Regardless, the concentrated midrange coupled with its slight forwardness and smooth overtones make the headphone a delightful listen in the genres of soul, jazz and pop. Rock, however, might leave some to be desired as the sultry sound has a tendency to smooth over vocals which would otherwise showcase grit and coarseness. With that said, the retrieval of micro-dynamics is good but not the best as it is not really a reference set, unlike like its brother, the Focal Spirit Professionals. Instead, the Classics offer a charmingly fun fatigue-free experience which can be listened to for hours on end without suffering from any stridencies or harshness. Treble is realistic with good clarity, detailing and extension. Although there is a marginal decrease in the decibel level of the ultra-high frequencies, the Classics are certainly not rolled off or “veiled”. In line with the rest of the sound signature, treble is not splashy nor strident but in its place, rather smooth. Focal have done an incredible job here of adding energy to this part of the frequency spectrum without resorting to forwardness or spikes in treble. Although the Sennheiser HD598s sound brighter in comparison with more air, the Focal Spirit Classics are more forgiving in nature making them versatile in sibilance-prone tracks. Overall, I am highly contented with not only the treble but also the rest of the frequency spectrum. The soundstage is respectable for a closed-back and there is an even sense of space in the dimensions of width and height. There is a definitive out-of-head experience which does improve with access to power. For the stage it has to work with, the Classics have excellent imaging capabilities with good separation between vocals and instruments. The dynamic nature of this headphone and the well-defined transients help in this regard preventing music from ever sounding displaced or congested. 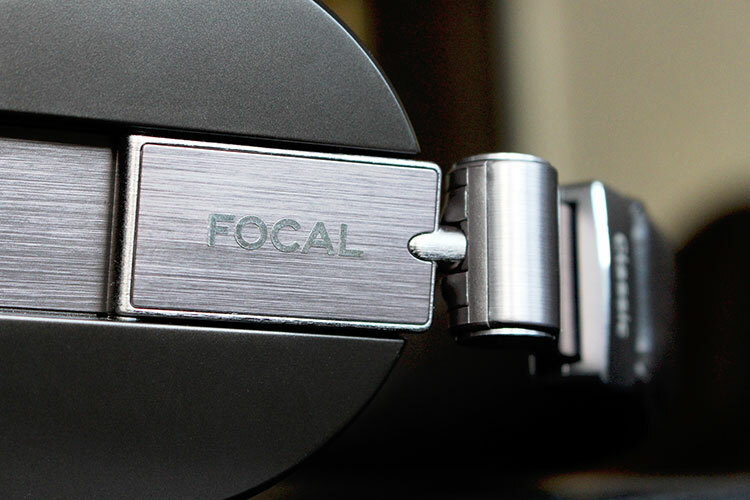 The Focal Spirit Classic has an impedance rating of 32 Ohms with a sensitivity of 102 dB. Although it does not require an amp, it certainly benefits from the excess power. An example of the Classics benefiting from excess power is with the stack above. Bass reaches a bit deeper with more impact and the overall sound opens up more with an increase in soundstage dimensions. As a result of this, separation levels also increase and the experience becomes more of an enveloping one. This source has a knack for making anything attached to it sound better regardless of the sound signature and design of the audio equipment. The Focal Spirit Classic is certainly no exception to this and gains the needed air to make it more spacious and enveloping. Added warmth here makes the listening experience even more euphonic and musical. For what it’s worth, the Focal Spirit Classic achieves an excellent tonal balance which has highly impressed me. Yes, there are particular nitpicks within each of the parts of the frequency spectrum but the overall sound is cohesive and nothing short of excellent. I feel that they are an overlooked headphone in the crowded headphone market and one that certainly deserves more recognition. Perhaps Focal need to address the potential comfort issues to truly captivate the attention of the unsuspecting audiophile. In spite of this, the headphone does excel in many other areas including but not limited to its premium look and durable build. The warm, relaxed and musically-tuned sound is simply a delight to listen to. For a modest £250 then, I highly recommend that people give these a listen to. I’ve used these headphones for more than one year and in my opinion they are a bit veiled. Maybe even more than a bit. And in the long run they become boring. Lots of hate on this headphone, but I thought it sounded nice.